We supply LC SC duplex multimode fiber optic patch cables, these cables are with typical 50/125 and 62.5/125 optional multimode fiber, the cable diameter is 2mm or 3mm. our multimode duplex SC LC fiber patch cables are compliant to industrial and international standards, they feature the good quality, good looking, competitive prices and fast delivery. 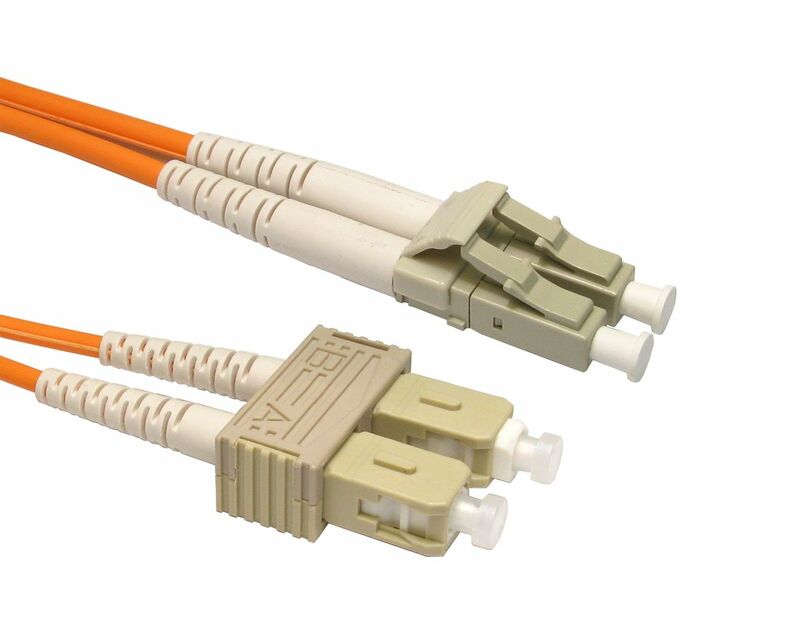 LC fiber optic cable connector is the widely used products for high density installations. LC connector body is only about half size of the SC. LC connector has a ceramic ferrule with 1.25mm outer diameter. LC fiber cable has single mode and multimode versions. LC connector features the RJ45 style interface and high precision alignment. LC single mode cables are UPC and APC types, multimode LC is UPC types. Our LC fiber optic cables are compliant to IEC and Telcordia standards. The SC fiber optic cable is with the Subscription Channel fiber connector. SC is one of the most popular used fiber cables in the world. SC was invented by NTT Japan; it is known for the locking mechanism which gives an audible click when pushed in or pulled out. SC is with plastic body and ceramic ferrule. SC fiber optic cable has single mode and multimode versions; there is Single mode SC UPC, Single mode SC APC and multimode SC UPC types. SC fiber optic connectors comply with IEC 61 754-4 & TIA/EIA 604-3-A standards.